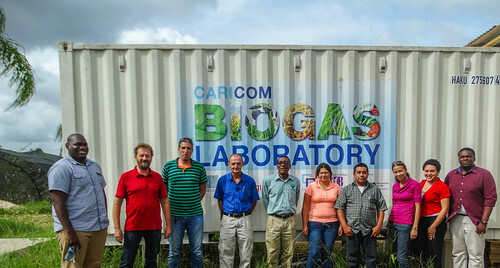 LaunchIT GreenTech is the first programme of its kind in the Caribbean which is designed to promote the growth and development of clean technology companies within the Caribbean. Selected entrepreneurs will benefit from a six-month curriculum that focuses on business modelling, prototype development, go-to-market strategy, financing and creation of industry connections that clean technology start-ups need to succeed. Each participating Cleantech start-up will receive financial support of up to US$6,000 in grant funding and over US$12,000 as an investment in the cost for professional services, office space and coaching. The ideal company is a scalable, Proof of concept to Seed start-up looking to further develop their business for commercialization. The focus of the start-ups must fit into one of five categories namely: energy efficiency, sustainable agriculture/agribusiness, water management, waste management and resource use efficiency. 1 August 2016: During the month of July, the International Energy Agency (IEA) released data demonstrating the growing market share of renewable energy, which has reached 13.8% of the world’s primary energy supply and nearly a quarter of electricity production. Over the course of July, significant public investments in energy access, renewable energy and energy efficiency were announced, with financing for energy access largely focused on Asia and Africa, while renewable energy investments tended to be in Europe. The energy efficiency initiatives announced focused on the building and lighting sectors in a variety of countries. With much of this investment being channeled through international finance institutions such as the multilateral development banks (MDBs), these institutions are significantly contributing to Sustainable Development Goal (SDG) 7 (Ensure access to affordable, reliable, sustainable and modern energy for all) and, consequently, SDG 13 (Take urgent action to combat climate change and its impacts), as well as the climate change mitigation and adaptation objectives of the Paris Agreement, which was adopted in December 2015. In July, the Asian Development Bank (ADB) announced two funding initiatives, in Azerbaijan and Sri Lanka, with a focus on economic development and poverty reduction through energy access. As part of its ‘New Deal on Energy for Africa,’ the African Development Bank (AfDB) released a number of funding announcements in July, with a particular focus on electricity access through grid expansion and upgrades. The International Conference on Energy, Environment and Climate Change (ICEECC 2017) is a multi-disciplinary, peer-reviewed international conference on sustainable energy and environment. The conference will focus on energy production and management, green energy, environmental engineering, environmental management, climate change and sustainable development. Discuss the future global development on energy access, energy security together with the associated environmental impacts. It is believed that this wide range of participants will help to outline the need for integrated approaches towards sustainable development and, hence contribute to the further dissemination of best practice in this field. Participating universities, enterprises and research organisations will be able to put-up displays describing their works and projects and to distribute the relevant information to the participants. The displays will be the backbone of the event and will allow close, one-to-one contacts between the participants and the exhibitors.